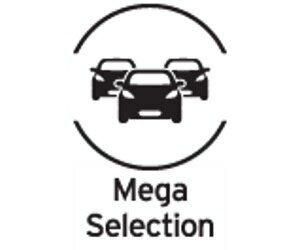 Why Buy From AutoNation Volkswagen Mall of Georgia? At AutoNation Volkswagen Mall of Georgia, we believe in providing premium customer service for the life of your vehicle. 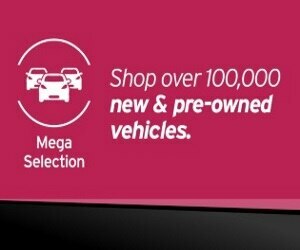 Shop online and reserve a vehicle for up to 48 hours with AutoNation Express. Plus, we’ll buy your car and you don’t have to buy one from us. Just another way we make car buying easy. *We'll buy your car: Subject to in-store verification, vehicle condition & mileage. Appraisal valid for 7 days or 500 miles, whichever comes first. See store for details. Some restrictions apply. Accessories & color may vary. Dealer not responsible for errors or omissions. New vehicle pricing may already include applicable manufacturer incentives which may expire at any time & are subject to incentive qualification criteria & requirements. Manufacturer incentive data & vehicle features is provided by third parties & believed to be accurate as of the time of publication. Please contact the store by email or phone for details & availability of incentives. Sales tax or other taxes, tag, title, registration fees, government fees, not included. Dealer Service Fee included in quoted price. Pre-owned vehicle Money-Back Guarantee is valid for 5 days or 250 miles, whichever comes first. Subject to certain terms and conditions. See store for details. Some restrictions apply. Some used vehicles may have unrepaired safety recalls. You can check recall status by VIN, at www.safercar.gov. "I never visited this dealership. The answers above are ment for Jim Ellis Volksvagen"
"The Business Manager, Bo, was pushy, rude and unprofessional. He made me very uncomfortable. I had an approved loan before I began shopping and did not want to finance through the dealership. I had to endure his drama and rudeness on two occasions. An example was when he referred to the picture of his children as his "three starving children". What an awful way to close my first car buying experience." "Andy M. was a pleasure to work with!" "Ridiculously high price for dealer admin fee($899.00) then topped off with a fee of $199.00 for title application and registration fee ($38.00 cost) What a rip off!"